WASHINGTON (Sputnik) - The US monthly trade deficit decreased by about 11.5 percent overall and more than seven percent with China, Commerce Department data revealed. "The [US] goods and services deficit was $49.3 billion in November, down $6.4 billion from $55.7 billion in October," a press release accompanying the data said on Wednesday. "The deficit with China decreased $2.8 billion to $35.4 billion in November. Exports [to China] decreased $0.1 billion to $7.4 billion and imports decreased $2.9 billion to $42.8 billion." The last time the US monthly trade deficit with China dropped was in March. However, the year-to-date trade deficit with China ($382 billion) is more than $37 billion higher compared to the same 11-month period last year. According to the report, total US exports for the month of November reached $209.9 billion and imports $259.2 billion. The release said the reduction in the overall trade deficit in November marked a drop from a 10-year high in the prior month as imports fell more than exports. 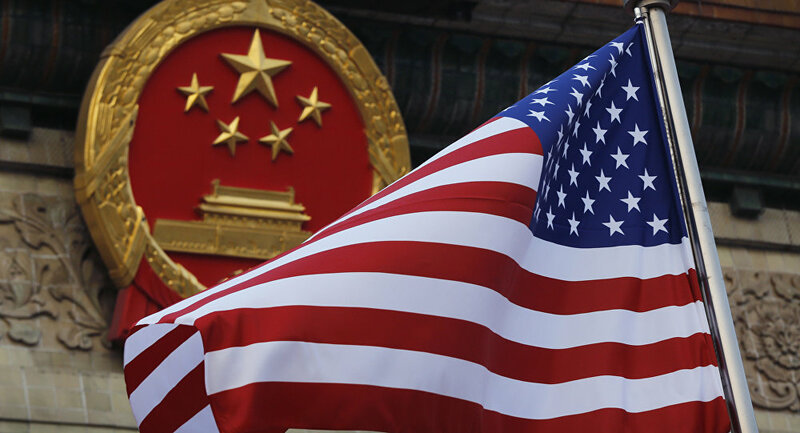 The report comes as US and Chinese officials, facing a March deadline, are trying to negotiate an end to the ongoing trade war that escalated last summer when the Trump administration imposed 25 percent tariffs on 50 billion dollars’ worth of Chinese imports. During Tuesday night's State of the Union address, President Donald Trump told a joint session of US Congress that any trade deal with China must include real, structural change to end unfair trade practices.